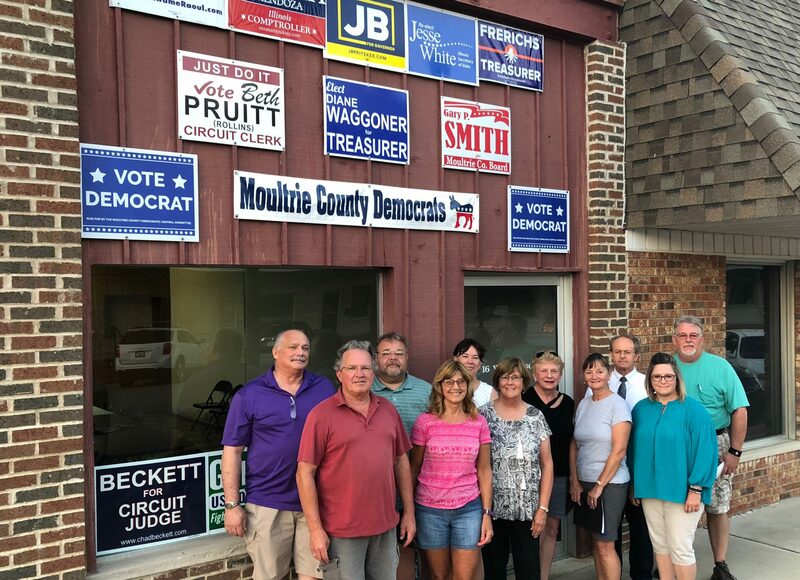 Ordinary people working together to promote democratic ideals in Moultrie County, Illinois. We will be having an Open House at our new Democratic Headquarters at 16 W. Harrison St., Sullivan, IL. Visit us at our new headquarters and pick up candidate literature, yard signs, and bumper stickers. We will have refreshments, also. Come out and support your local Democratic candidates. We have moved into our new Democratic Headquarters at 16 W. Harrison, Sullivan, IL. We are planning on having an Open House soon, so keep an eye out for news about this event. In the meantime, if you need candidate signs or just information about a candidate, call us at (217) 460-1561. Continue reading "Reflecting on Michelle Obama "
Meeting on October 24 at 6 p.m.